In the days before Christmas, AT&T and DirecTV gave layoff notices to a large number of landline, legacy service, and home installers spanning the country —and more are coming. On Dec. 16, about 600 employees were notified of the pending layoffs. Most of those were across mid-west states, with some of those including higher-skilled workers. Other layoffs by the company include "more than 700" DirectTV home installers across the country. 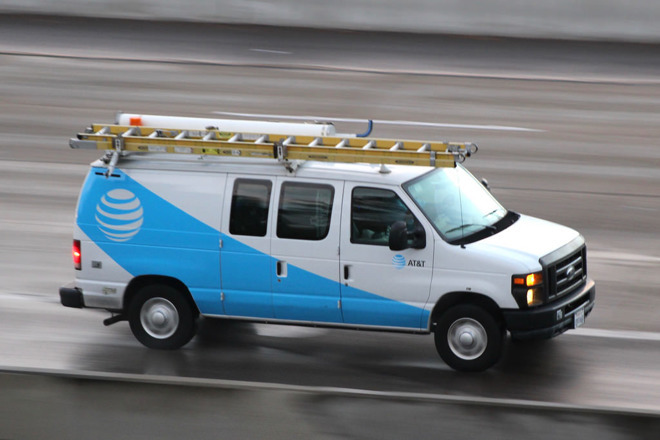 Additionally, in December, AT&T fired 215 technicians in "nine Southern states" according to the New York Post, with another 700 reportedly coming in Texas and Missouri in February. "Merry Christmas, here's your pink slip," a worker said to the New York Post. "It's affecting all states from Florida to California." It is not clear if the firings relate to the pending AT&T and Time Warner acquisition, or how it specifically relates to the announcement that the company was giving $1000 bonuses to 200,000 employees in commemoration of the tax overhaul signed just before Christmas. AppleInsider has confirmed layoffs in California, Connecticut, Florida, Maryland, Massachusetts, New York, North Carolina, Texas, and Virginia. Employees have three weeks to find and apply for another job that they are suited for within the company, or the termination is permanent. AT&T employees that are expecting to be laid off have told AppleInsider that the options that the company is presenting are slim, and a fraction of the salary that they were earning before. "Technology improvements are driving higher efficiencies, and there are some areas where demand for our legacy services continues to decline." AppleInsider was told in a statement. "We're adjusting our workforce in some of those areas as we continue to align our workforce with the changing needs of the business." Union representatives have noted to Newsweek that a number of the $1000 "capital-freeing event" bonus recipients as a result of the new tax legislation are on the chopping block. "How can you lay people off and then give them $1,000 and say that there's going to be more jobs available?" asked Local 6360 Communication Workers of America Union President Joseph Blanco. "I wish someone could tell me how that's possible because I have to explain that to my members, and right now at this time of year, this is a difficult pill to swallow."